Who ponders the sock? This common object is something people tug on and take off daily with hardly a thought. Unraveling the garment's history, construction, and use, Kim Adrian's Sock reintroduces us to our own bodies-- vulnerable, bipedal, and flawed. 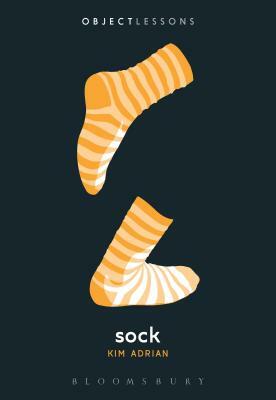 Sock reminds us that extraordinary secrets live in mundane material realities, and shows how this floppy, often smelly, sometimes holey piece of clothing, whether machine-made or hand-knit, can also serve as an anatomy lesson, a physics primer, a love letter, a weapon, a fetish, and a fashion statement. Kim Adrian is the author of the memoir The Twenty-Seventh Letter of the Alphabet and the editor of The Shell Game: An Anthology of "Hermit Crab" Essays. She is a Visiting Lecturer in the Nonfiction Writing Program at Brown University.